Device for the detemination of the tensile strenght of concrete cubes 100 and 150 mm. 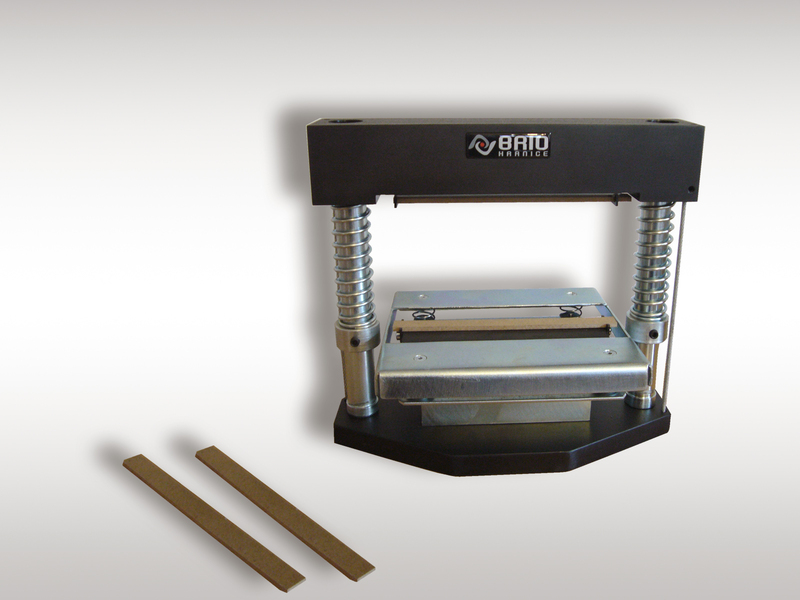 Device BPT 300 is designed for tensile strenght test on concrete specimen in connection with compression machine. The basis is made of steel on which are fixed two colums. Upper crosspiece with radius edge is sliding on th colums. Bottom radius edge is part of sprung base. The working height (cube 100 or 150 mm) can be set. Bottom radius edge is fixed together with steel basis and spacers. Reversible move of upper edge is secured by compressing springs situated on the columns. Top position is limited by steel wires. We also offer device produced by Form + Test.